I have never "seen" a St. Bernard dog up and personal. True. My neighbor has one such dog but considering that I only had a glimpse of the said dog (and a fleeting view of my neighbor as well) I am convinced that I have not seen the likes of a St. Bernard. 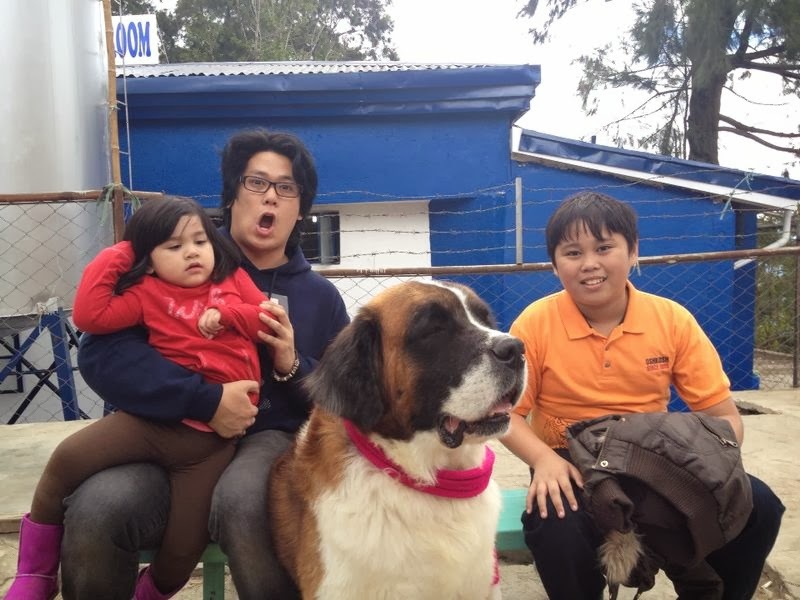 Thanks to our spontaneous trip to Baguio and our disastrous trip to Mines View Park (which I swear has lost its attraction), I would never have seen a real-live-friendly-cuddly-hug-able St. Bernard doggie. For 50 PHP, one can pose with the dog and take as much pictures as one likes. I know!